ROYAL PALACE HOTEL HANOI IS BRAND NEW LUXURIOUS HOTEL in located of the heart of Hanoi`s historic Old Quarter. The Royal Palace Hotel is a boutique 3 star hotel that offers elegant rooms including some with views of the city and large balconies. We pride ourselves on offering the best service to our customers. 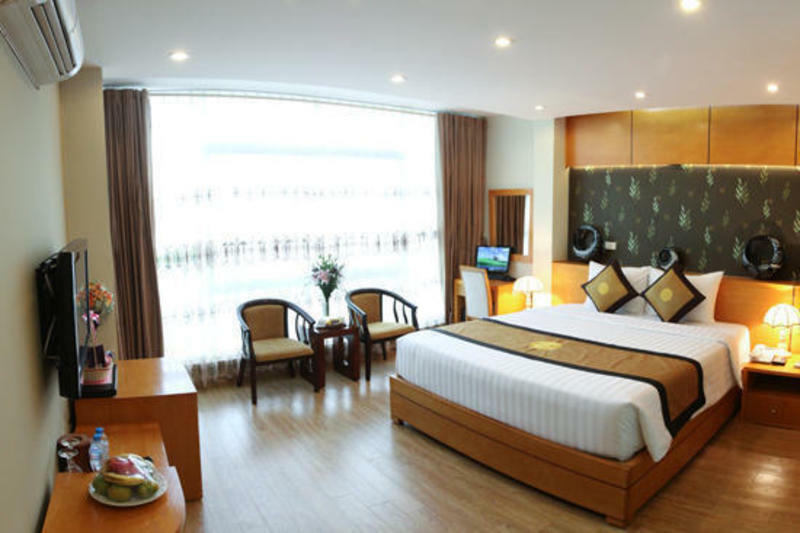 Ideally located in the heart of Hanoi`s ancient streets, just 5 minutes walk to the famous Hoan Kiem Lake (Lake of the Restored Sword) and Thang Long Water Puppet Theater and all shopping and banking facilities. The eating, entertainment and central business districts are located conveniently just a few minutes walk away from our hotel. Our hotel is serviced by an elevator and the 30 spacious rooms have wooden floors, windows and are equipped with wood furniture in modern and luxurious style. Also all our rooms have IDD telephones, LG 32' HD LCD TV, DVD player, modern air-conditioning, mini-bar, luxurious bathroom with some rooms have bath-Jacuzzi or bath-tub, hair dryers, you own private computer with free high speed internet access and Wifi. In addition all rooms have coffee and tea making facilities, Safety deposit box and 12 special rooms have city views and large balconies. All rooms included breakfast with many choice, fruit juice and tea and coffee for free all day for guests staying in the hotel. Royal Palace Hotel`s friendly staff will be glad to advise you on the local places of interest and help with any tours or travel arrangements you may require. Royal Palace Hotel is great choice for all discerning tourists & business travelers. Come to our hotel you will be very satisfied with our outstanding services and the hospitality provided by a team of professional staff and management. So after booking, please let us know of your flight details via our email, so we can arrange your transport.